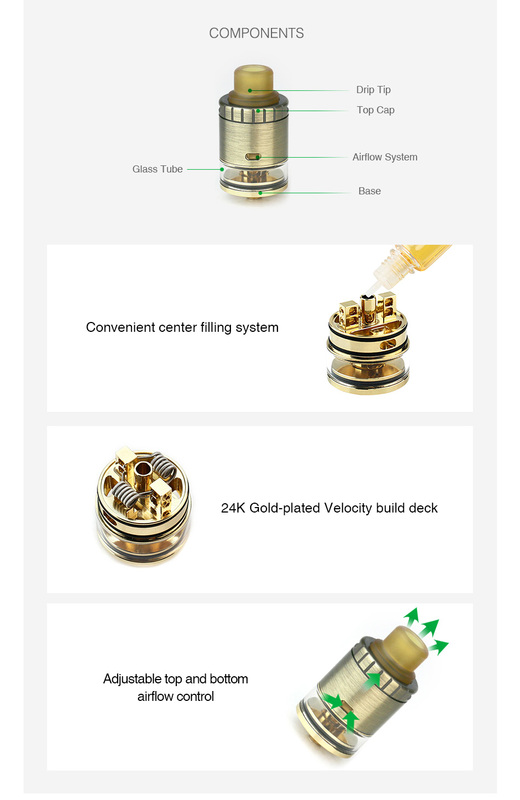 V12 RDTA by GTRS is a unique 2ml RDTA atomizer with 25mm diameter and adjustable top & bottom two airflow control. It also features a gold-plated Velocity build deck for easy dual coils building. Together with convenient center filling system, anti-scald PEI drip tip and anti-leak & anti-spit structure, V12 RDTA will bring you an excellent vaping. Good choice for DIY lovers.